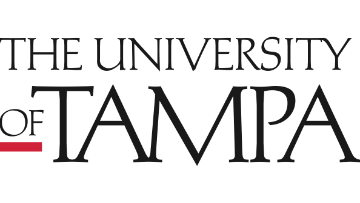 The Department of Biology in the College of Natural and Health Sciences at The University of Tampa invites applications for a full-time, one-year renewable, Visiting Assistant Professor position beginning in August 2019. The University of Tampa is a medium-sized, comprehensive, residentially based private institution of 9,200 undergraduate and graduate students. The University is ideally situated on a beautiful 110-acre campus next to the Hillsborough River, adjacent to Tampa’s dynamic central business district, which is a growing, vibrant, diverse metropolitan area. UT reflects this vibrancy; with 22 consecutive years of enrollment growth UT boasts 260 student organizations, a multicultural student body from 50 states and 140 countries and “Top Tier” ranking in U.S. News and World Report. This position will have primary teaching responsibilities in Introductory Biology for science majors (General Biology I and/or II), upper division Biology courses (Microbiology, Genetics and/or Virology), and non-science major courses (Biology and/or Microbiology). The department is interested in attracting broadly trained biologists to complement the existing faculty in biology. Opportunities for collaborative research involving undergraduates and current members of the faculty are possible using research space and equipment that may be made available by on-campus collaborators. Each candidate will be expected to teach 27 contact hours throughout the Fall and Spring semesters. PhD preferred (strong ABD candidates considered) and prior experience teaching undergraduates is desirable. A personal commitment to quality undergraduate teaching and advising is essential. Review of applications will begin February 15th and continue until the position is filled.